A woman�s most valuable possession is not her beauty but her modesty; but in our society the best women are those who are best to their husbands no matter what their own identity is. 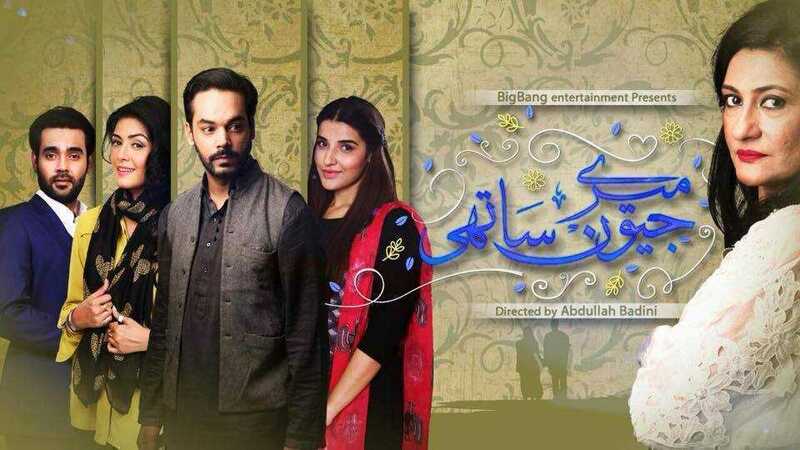 They have to shape their individuality according to their partners.Mere Jevan Sathi is a new drama on ARY Digital, the drama�s story is revolving around the same societal consideration where the girl suffers and sacrifices her happiness for the sake of her family first and keeps on finding the middle ground later in her marital life. Women are known for the sacrifices that they make their entire life, whether its for their husband or their parents.Surat expected a partner of her own calm personality type but got an opposite one. Mohid is Surat�s cousin and her dreamed love partner who lives in her house after his parent�s demise. Talal is Surat�s complicated and spoiled husband who is an opposed personality to her.His least interest towards her makes her life difficult and meaningless. Surat doesn�t share anything common with her sisters. Simran is Surat�s spoiled and stubborn sister who suffers for her own blunders and end up marrying to her sister�s love Mohid.Ayaz is Surat�s father who is composed as her. Rubina is Surat�s mother�s friend who later on becomes her mother-in-law.